Amber Mace, PhD, is the Deputy Director of the California Council on Science and Technology, and she oversees the CCST Science & Technology Policy Fellows program. Mace formerly served as the Executive Director of California Ocean Protection Council and as Assistant Secretary for Coastal Matters at the California Natural Resources Agency, after serving as a Sea Grant Policy Fellow with the United States Senate. 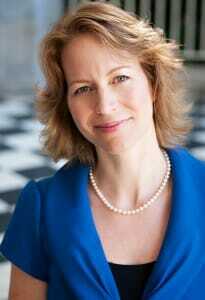 Mace received her PhD in ecology from the University of California, Davis. Welcome to the new blog of the CCST Science & Technology Policy Fellowship! In 2008, the California Council on Science and Technology (CCST) had been thinking long and hard about its organizational mission: catalyzing leading experts in science and technology to engage with policy makers and ensure California’s continued leadership in science, technology, innovation, and STEM education. 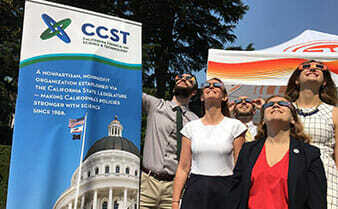 CCST has always supported the clear communication of science, to help California’s policymakers in the Executive Branch and the State Legislature make the most informed decisions for California’s citizens and resources. But, we wanted to do more. The CCST leadership then had a thought: what better way to foster a more direct connection between scientific researchers and the Legislature than to directly staff policymakers with PhD scientists and engineers? Thus began our CCST Science & Technology Policy Fellowship, in which scientists trade their lab coats for business suits, and swap molecules and equations for committee hearings and bill analyses. CCST trains and mentors scientists and engineers in the policymaking process, and places them as staffers with Assembly and Senate offices. 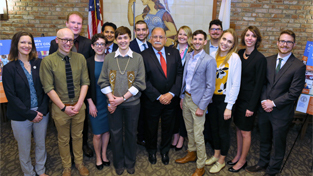 As Fellows, these scientists and engineers experience a year of public service and leadership training, and get the chance to explore a career in California’s policy arena. At the same time, the State Legislature benefits from access to highly skilled, science-savvy staff to advise them on legislative issues and priorities. We owe a great deal to our Founding Donors for making the Fellowship program possible. In particular, we are indebted to the Gordon and Betty Moore Foundation, whose $3.5 million gift gave us the financial support and confidence that we had a worthwhile goal. We also toast the American Association for the Advancement of Science (AAAS), who pioneered the federal government fellowship on which our program is modeled. 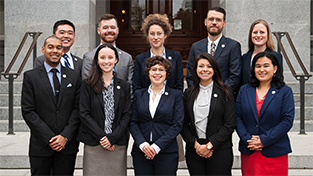 So, what began as a five-year pilot program — an experiment in itself — is now welcoming its seventh Fellowship class, who are learning the ropes in our “policy boot camp” at CCST’s downtown Sacramento office these recent weeks. Starting December 1st, we open applications for our 2017 Fellowship class and kick off our major fundraising push to close out our 2015 financial year — so we can lay the groundwork for the long-term future of our very successful experiment. I can go on about all the great plans we have for the Fellowship, and all the exciting trainings and experiences we have planned for future Fellows. But that’s what this blog is for — a way for our friends and partners to hear from the Fellows themselves and to help you all engage with our Fellowship program. California has one of the largest economies in the world, and so many critical issues facing our state today — water, energy, and public health, just to name a few — require a deep understanding of science. Whether you’re a prospective applicant, an interested funder, a staff member, legislator, or an advocate — if our mission and our program have sparked new ideas and new possibilities in your own vision and mission, we would love to hear from you. Follow updates from the CCST Fellows at facebook.com/ccstfellows and twitter.com/ccstfellows. Learn more about the CCST Science & Technology Policy Fellowship here. Contact Amber Mace at [email protected]. 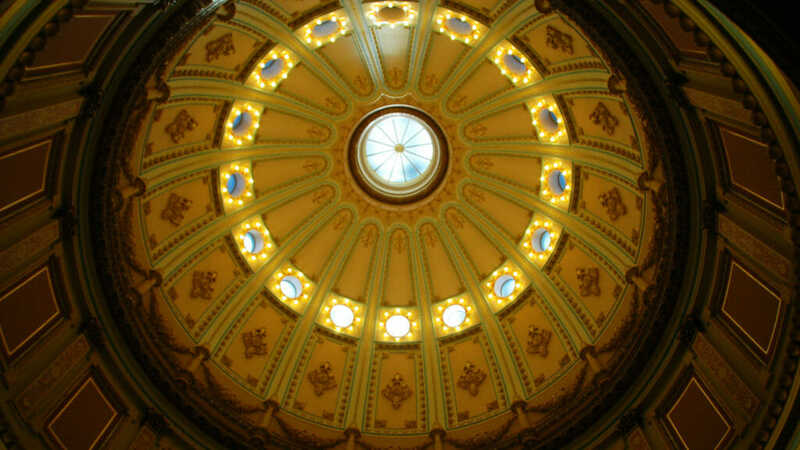 The rotunda ceiling of the State Capitol building in Sacramento, California, is one of the first sights for incoming Fellows.